If, like so many others, you've lost sight of your own life in the drama of tending to someone else's, you may be codependent--and you may find yourself in this book--Codependent No More. What It Is, Where It Comes from, How It Sabotages Our Lives. 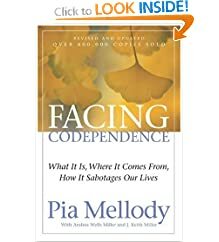 Pia Mellody creates a framework for identifying codependent thinking, emotions and behaviour and provides an effective approach to recovery. 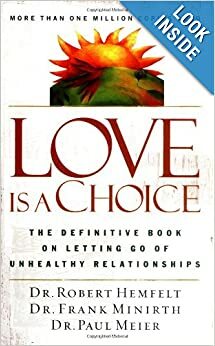 The Definitive Book on Letting Go of Unhealthy Relationships. These bestselling doctors walk you through their ten proven stages to recovery from codependency that results from external circumstances. 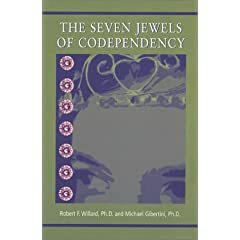 The Seven Jewels of Codependency is a clear, practical, and uplifting guide to discovering the potential in your codependency. We can help you learn to appreciate your talents, give you tools for improving your life, and nurture your confidence to pursue zestful living. 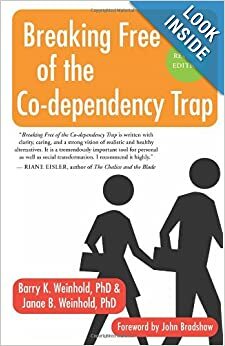 A Guide Out of Codependency, Addiction, and Other Useless Habits. 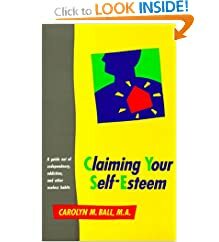 Offers a practical guide to improving self esteem by changing negative thoughts, creating fulfilling relationships, and learning to love yourself. Karen Casey takes us through the steps of detachment admitting our attachment, surrendering outcome, forgiving, focusing our attention on what works.